Fanuc LCD, LCD/MDI supplied outright. 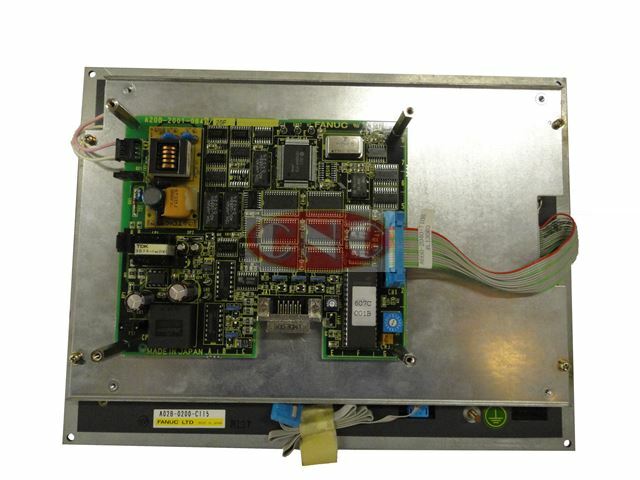 CNC currently have stock of A02B-0299-C060 LCD monitor. This monitors is fitted as a standalone LCD (LCD/MDI) panel with the 7 rubber keys on the bottom of the fascia. This monitor is normally adjoined by stand alone MDI panel (keyboard). The LCD panel is fitted with Fanuc series 0i-b generation control system. The unit is a genuine oi-TB control part, and currently the accompanying Fanuc MDI and operator panels are also in stock. 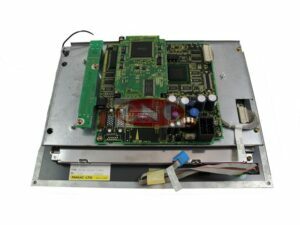 If you require this Fanuc LCD monitor, or any other CRT, PDP, or LCD based Fanuc display; please do not hesitate to contact us. If you require any other Fanuc 0i control parts, please click on the relevant link to the right or above to take you to the correct section.